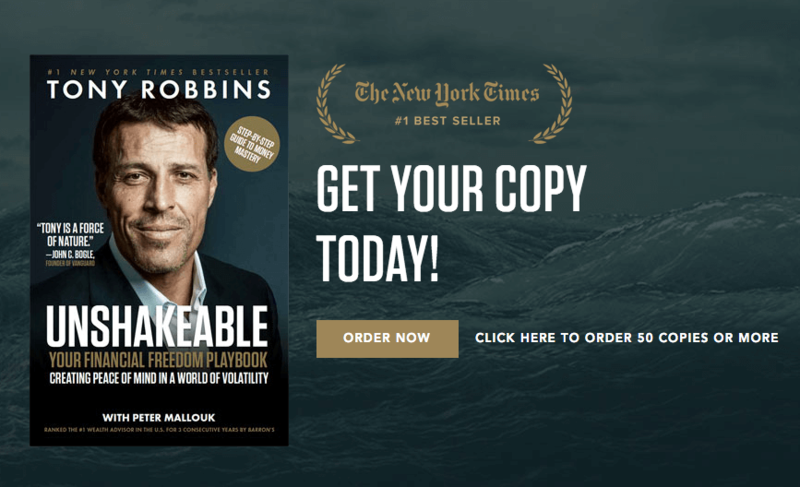 Robbins, who has coached more than fifty million people from 100 countries, is the world’s #1 life and business strategist. In this book, he teams up with Peter Mallouk, the only man in history to be ranked the #1 financial advisor in the U.S. for three consecutive years by Barron’s. Together they reveal how to become unshakeable—someone who can not only maintain true peace of mind in a world of immense uncertainty, economic volatility, and unprecedented change, but who can profit from the fear that immobilizes so many.